MFM FC tasted their first of the defeat of the campaign in the hands of FC Ifeanyi Ubah as they fell 4-0 in Nnewi. Kone Yaya put the hosts in front in the 11th minute of play when a deflected low shot from outside the box beat MFM FC goalkeeper, Folarin Abayomi. The game continued with the Olukoya Boys seeking an equaliser, stringing passes with great composure but the host defenders stood tall to deny MFM FC any chance of leveling terms. 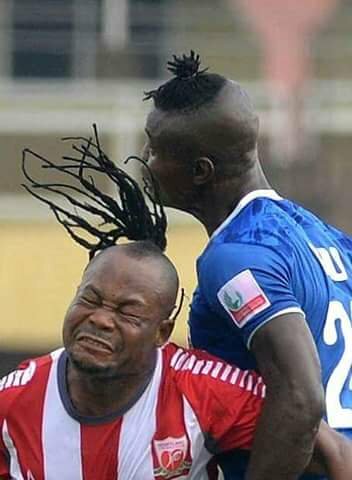 Former Warri Wolves player, King Osanga doubled the lead for the Anambra Warriors with a flick header in the 34th minute of the game and three minutes later, Oni Jimoh capitalised on defensive mix up to round the goalkeeper for the third. With four minutes to end the first half, coach Fidelis Ilechukwu substituted Sulieman Abdullahi for Onuwa Chukwuka. The creative midfielder made his impact felt in the last minute of the three minutes added time when Austin Ogunye connected his brilliant pass inside the visitors box, but the latter’s audacious effort hit the cross bar. The second half was characterised with disappointing moments for the Lagos-based team, as Folarin and defender, Nwaga Chuka sustained an injury hence, Ilechukwu was forced to make two quick changes. Alashe Ajibloa and Egbe Ospino came in to replace Abayomi and Nwaga. Ogunye had a glorious chance to reduce the deficit for coach Fidelis Ilechukwu tutored team in the 61st minute when he raced onto Onuwa's lovely pass, but his right footed shot struck the woodwork for the second time. Second half substitute, Ifeanyi Onuigbo put the game beyond MFM FC with the fourth goal of the encounter in the 82nd minute off a well a taken free kick, 25 yards out.